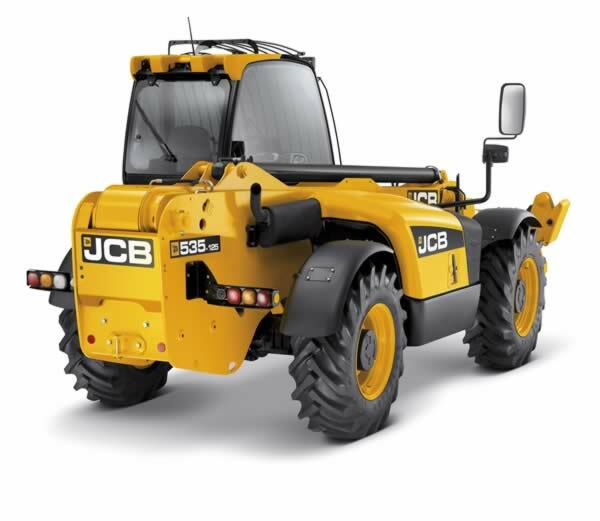 The 12.5 Metre Telehandler has a max lift height of 12.3m and payload of 3.5 tonnes, making it a popular model for house builders. 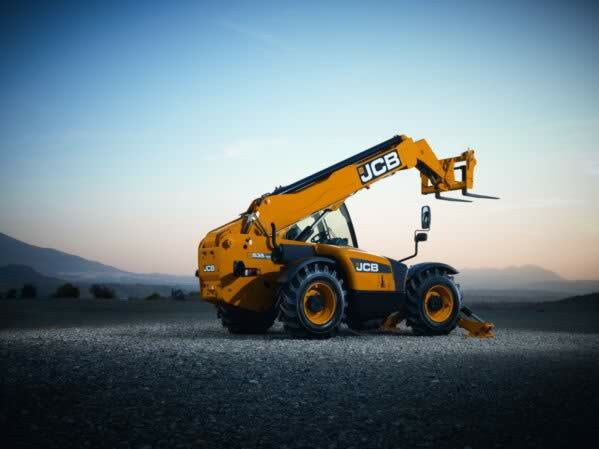 Telehandler offers impressive reach capabilities to complement a 3500 kg lift capacity. It’s also designed specifically to maximise safety on-site. The 12.5 Metre Telehandler provides amazing visibility and is safer for bystanders. 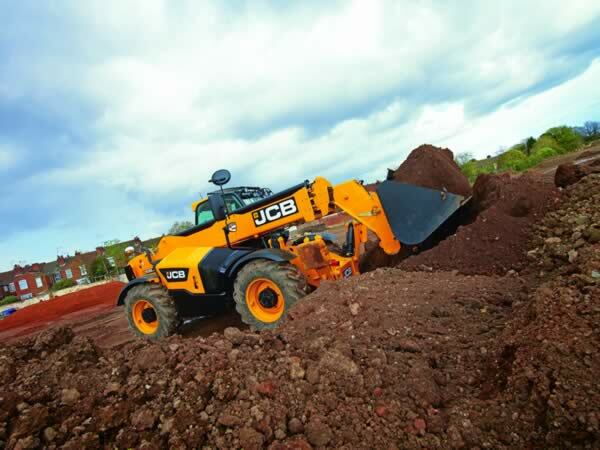 The JCB 535-125 Hi-Viz is a full-sized 3-stage Loadall with a huge reach. With its lowered boom pivot and reduced-size (though very strong) boom section, the 535-125 Hi-Viz represents a major step forward in visibility. A 10% all-round increase to be exact, making the machine easier and faster to operate. With its all-new award-winning EcoMAX engine, this telescopic handler also represents a major step forward in efficiency. EcoMAX meets Stage IIIB/Tier 4I legislation without bulky DPF, resulting in less waste, lower maintenance costs and more up-time. The compact wheel base and large steering lock angles allows excellent manoeuvrability and fast travel time across site. 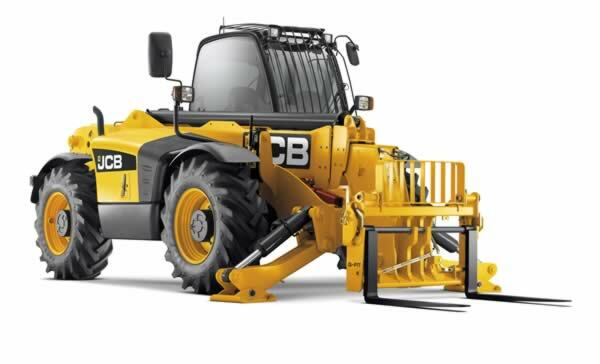 The optional Smooth Ride System (SRS) improves load retention and increases operator comfort when travelling at speed on the road or uneven fields. The cap is Roll Over Protection System (ROPS) and Falling Objects Protection System (FOPS) certified. 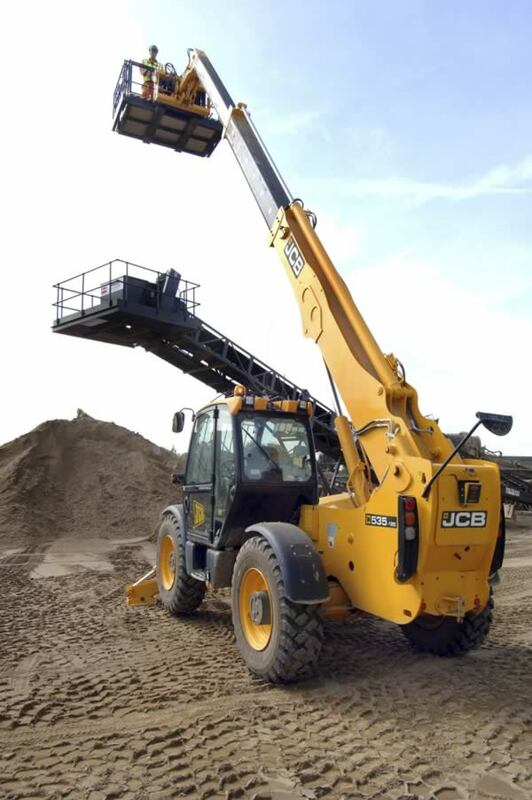 Sway frames enable an operator to made their telehandler absolutely level before lifting. Hose burst check valves (HBCVs) are fitted to the rams, preventing collapse in the event of hose failure. Geo-fencing alerts help to ensure your machine is only used in specified areas. Live Link tracking provides valuable real-time machine location data. PPE is required for the safe operation of this equipment. We thoroughly check all of our equipment prior to dispatch using comprehensive pre-hire checklists.